Scream for ice cream! 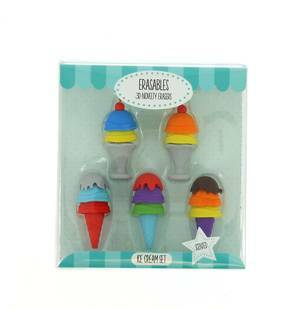 This yummy smelling ice cream set comes in 5 flavours, strawberry, chocolate, vanilla, grape and blueberry. Delicious!